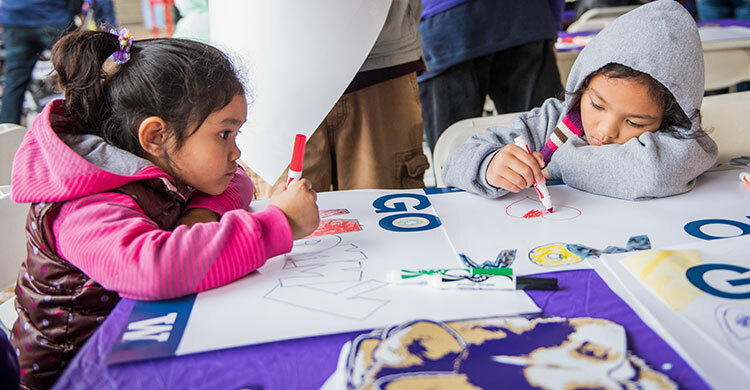 Thanks to all who joined us for this annual campus tradition! Curious to see how you did? 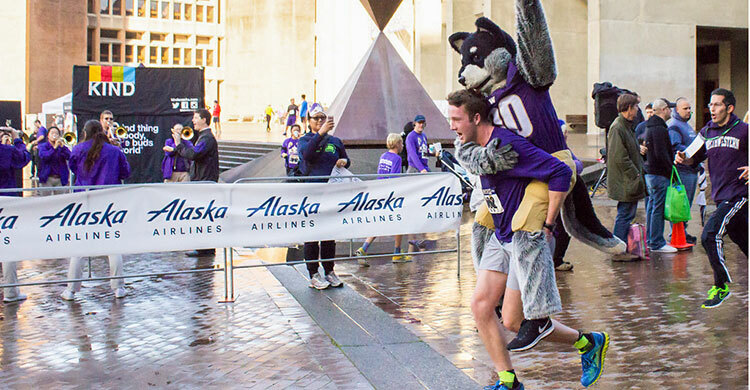 Race results are live here. 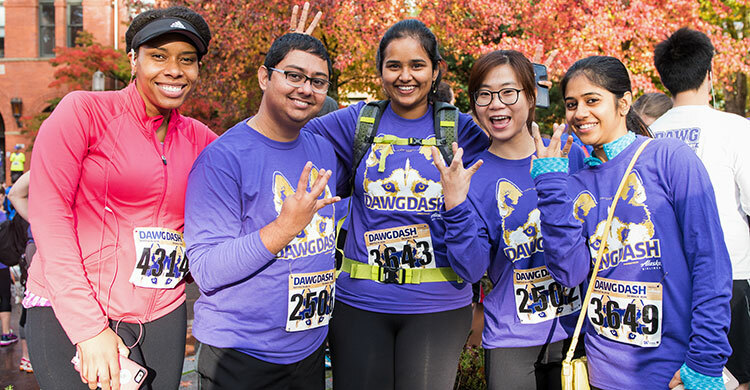 Check out the 2018 Dawg Dash Flickr album for photos from the day. 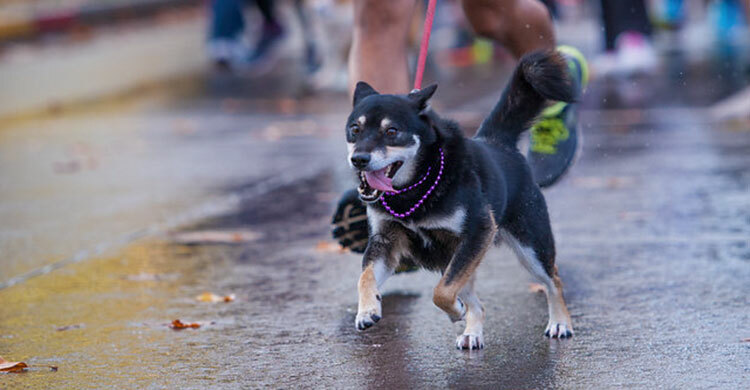 Medals will be mailed to participants in November. 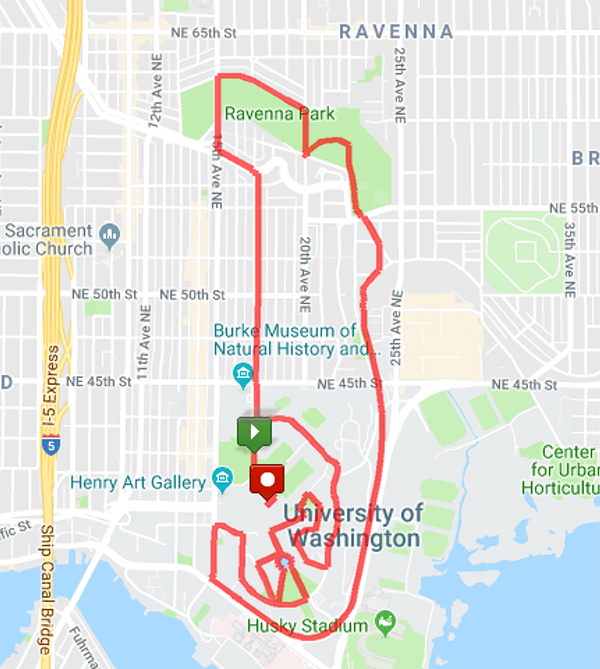 Whether you want us to send you your medal, prefer to pick it up at Washington Commons or would rather not receive a medal at all, please fill out the form below so we can keep our records current. Free street parking is available. 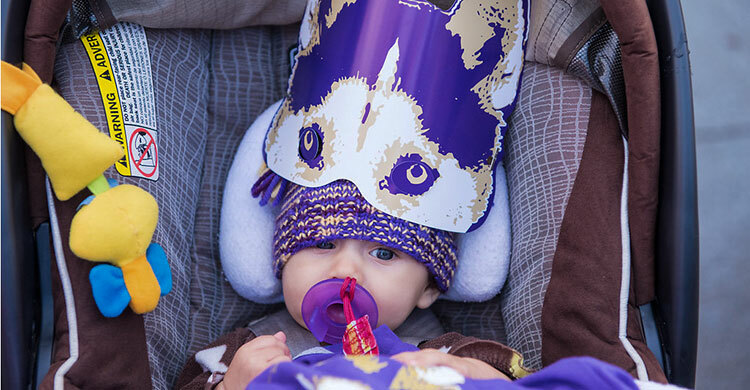 Limited on-campus parking is available on a first-come, first-served basis. 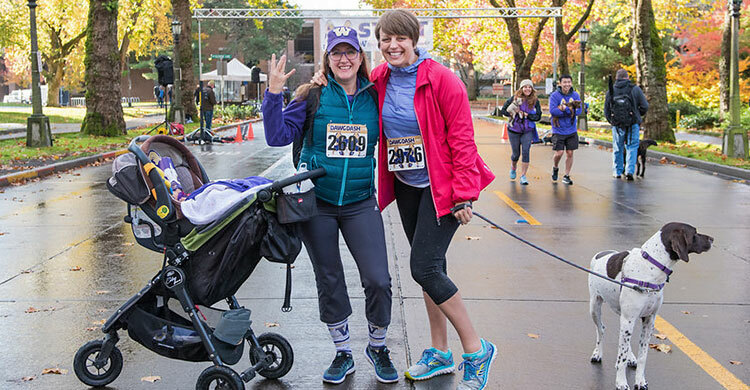 The UW Central Plaza Parking Garage is close to registration and the start line, with an entrance on 15th Avenue NE and NE 41st Street. Additional parking is available in the Padelford Parking Garage, directly south of McMahon Hall. Please obey all posted signs and do not park on the 10K or 5K course routes. 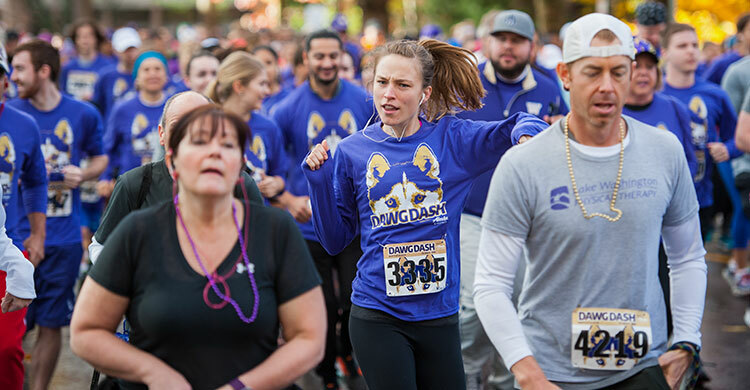 We highly recommend carpooling, King County Metro Transit or Sound Transit light rail. 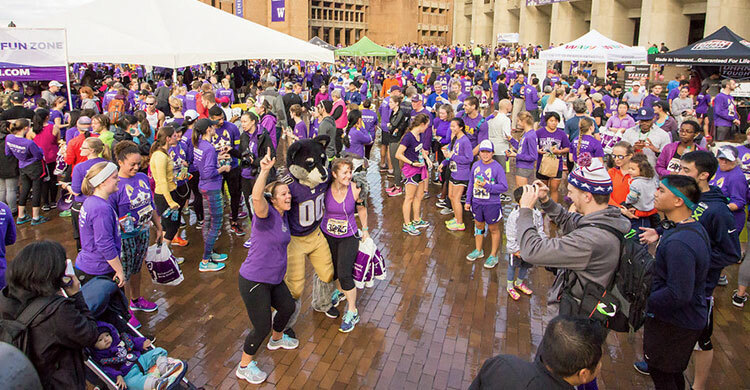 Participant items can be stored at the designated gear check area. Event officials and volunteers will not be responsible for items such as wallets, keys, cell phones, iPods, etc. 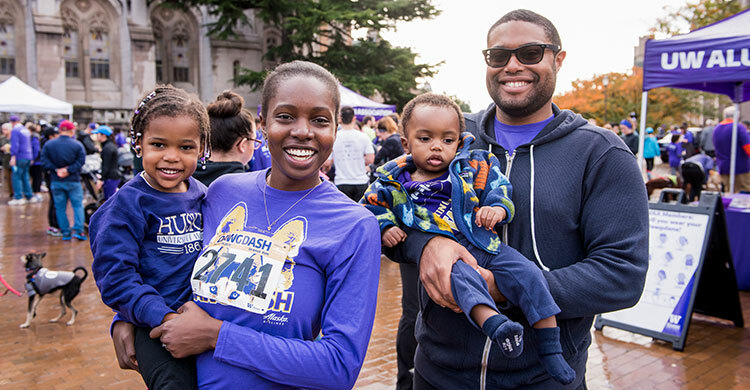 Your child can join you — jogging strollers are welcome! 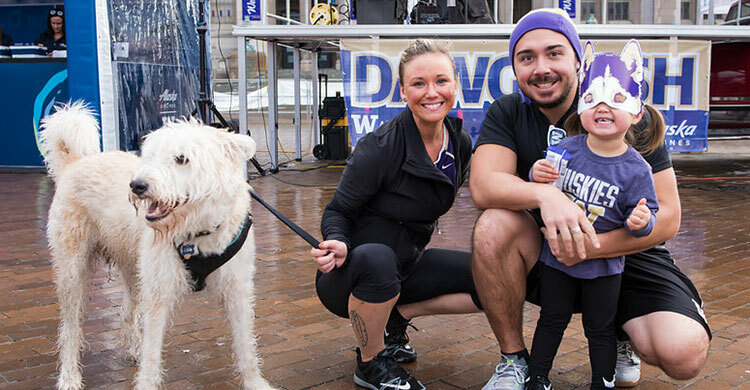 Although the 5K is more stroller- and dog-friendly, strollers are allowed on both routes. 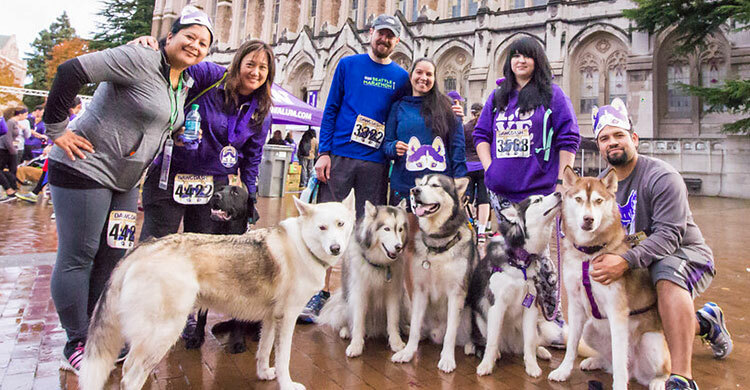 Alaska Airlines Dawg Dash is a dog-friendly event. 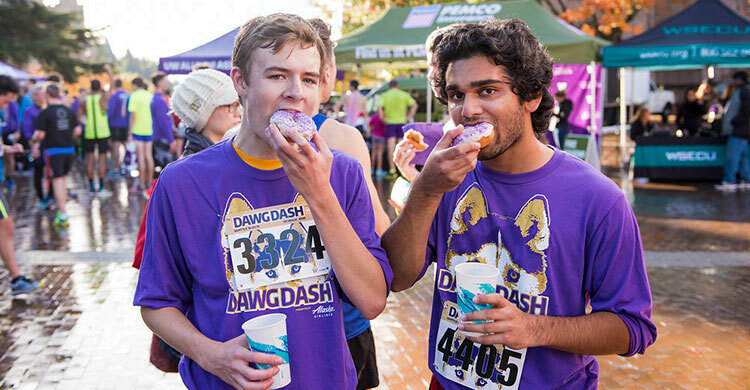 Bowls of water can be found at the on-course water station as well as at the finish line. 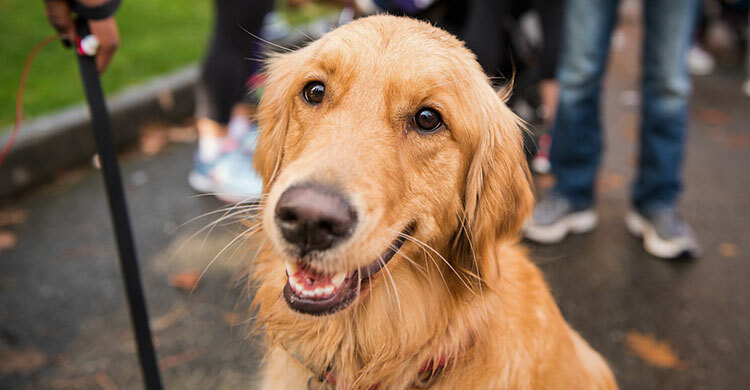 Please keep your dogs on a leash at all times and be respectful to those around you. 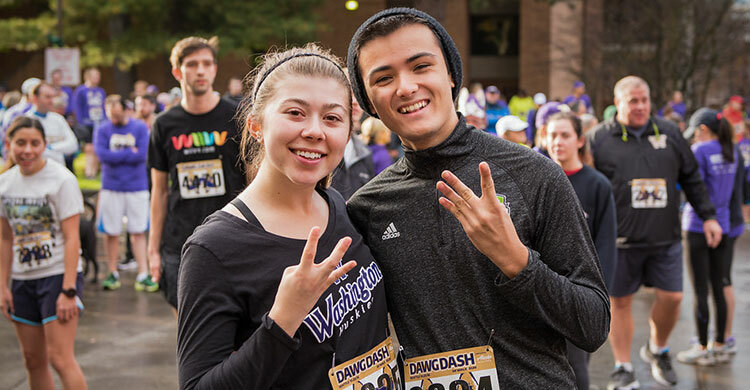 Celebrate with your friends, family and fellow participants at the Post-Dash Bash. 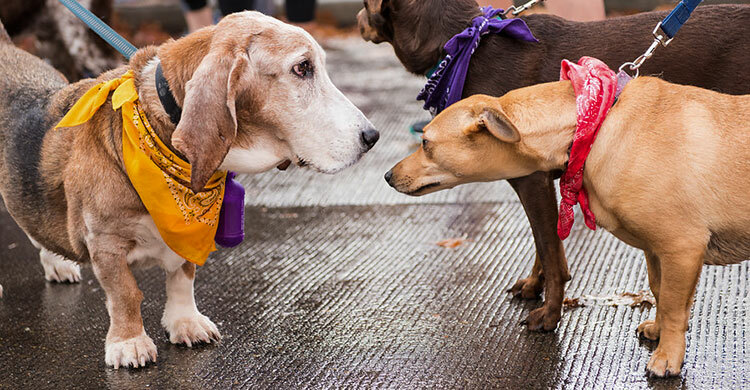 KEXP will be on hand to spin some tunes, there will be plenty of fun giveaways for Dawgs and dogs, and doughnuts. Everybody loves doughnuts. 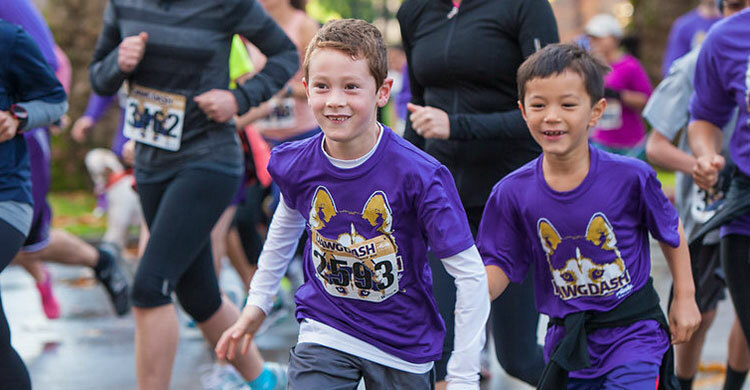 Kids 10 & under love this short run with Harry the Husky during the Post-Dash Bash. 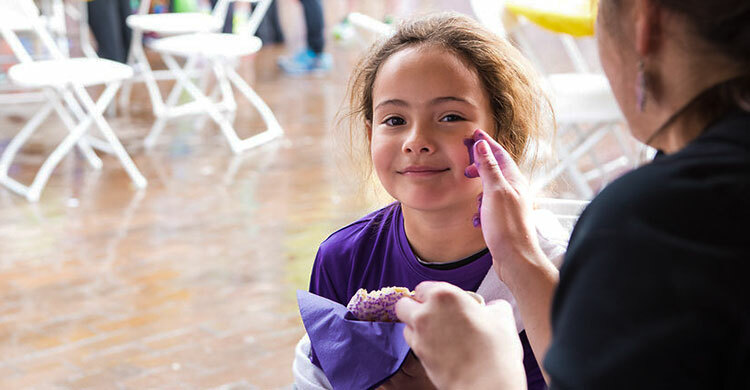 Kids running in this free event receive a ribbon for participating. Kids shirts are available for $10. 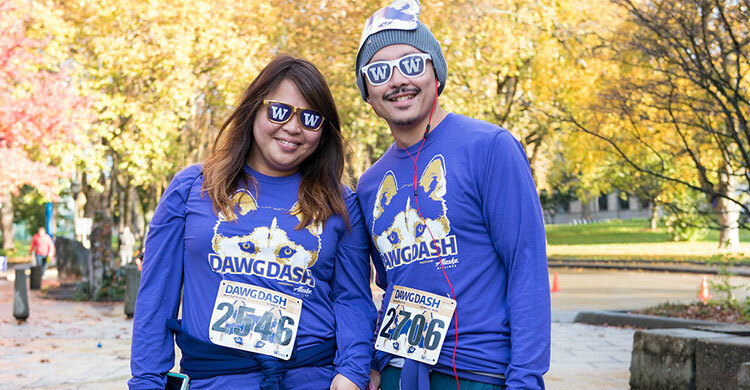 The first 4,000 registrants will receive a free, commemorative Brooks running shirt with the Alaska Airlines Dawg Dash design. 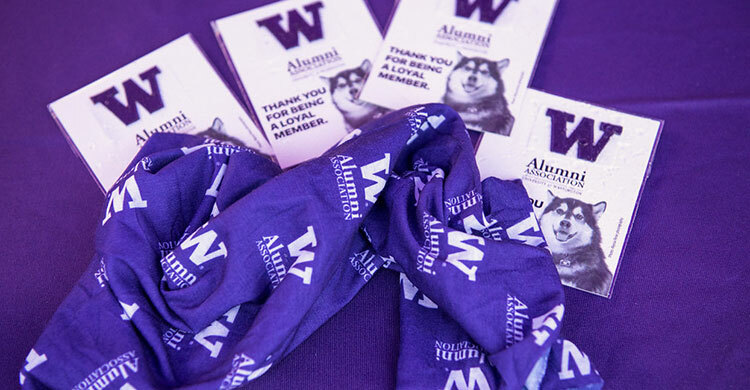 Show your workout buddies that you helped support UW student scholarships — and look good doing it. 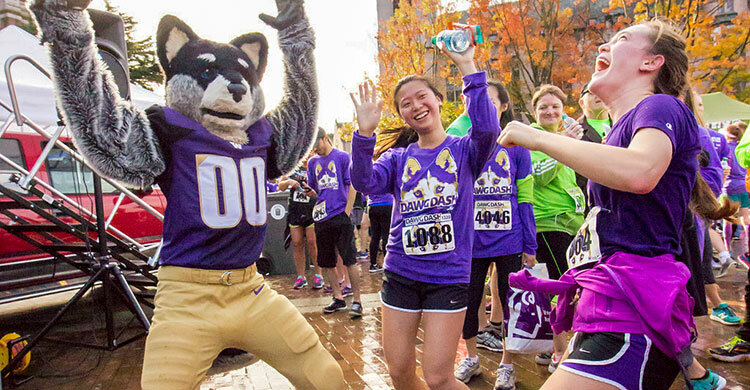 What’s better than running the Dawg Dash? Having a commemorative medal to show off afterwards! 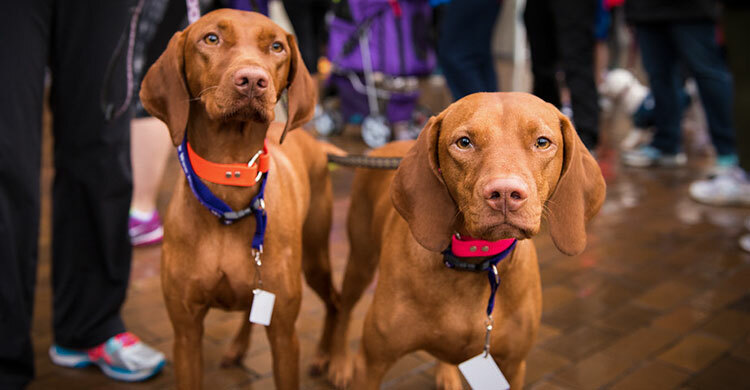 Please note: Due to unforeseen transit issues, we are sad to report that racer medals will not arrive in time for the big day. Medals will be mailed to participants in November. Our volunteer registration is now closed. 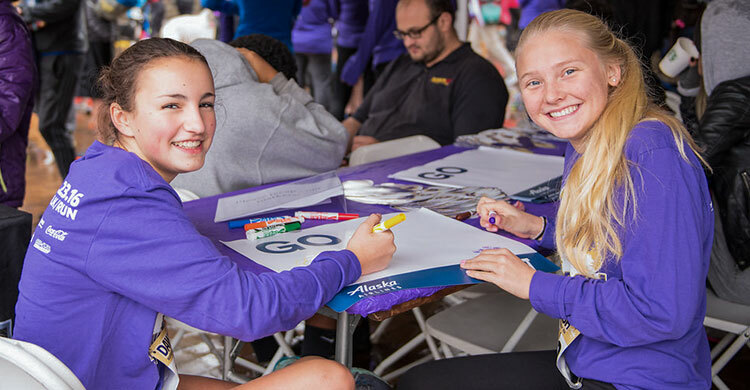 Thank you to everyone who has signed up to volunteer! 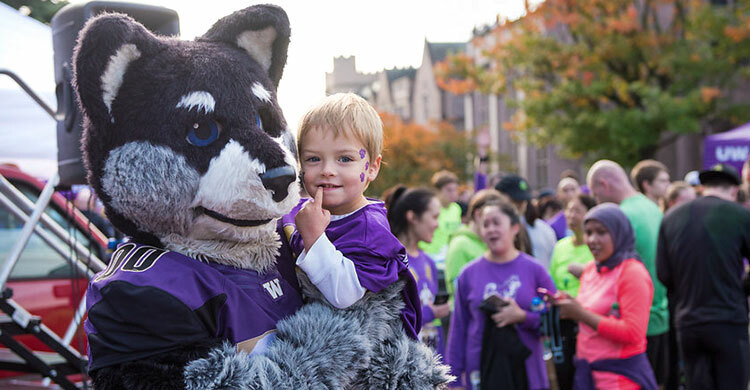 We’ll see you on Sunday! 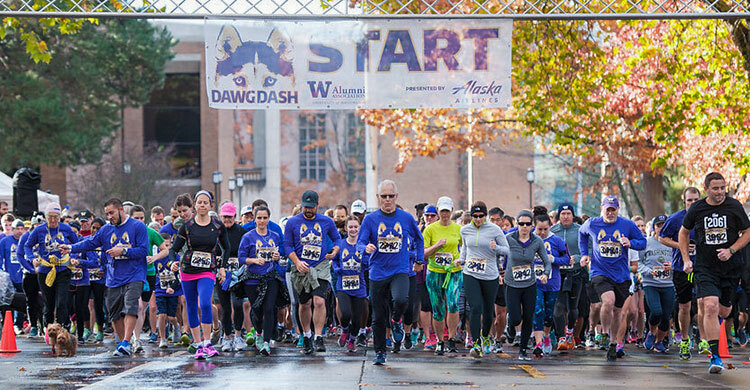 Do you want your business to be a part of Dawg Dash? 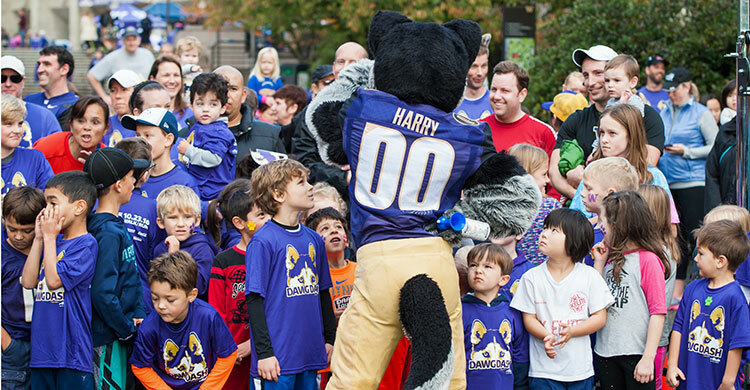 Contact Harold Baker, associate director of sponsorships, at haroldjr@uw.edu. 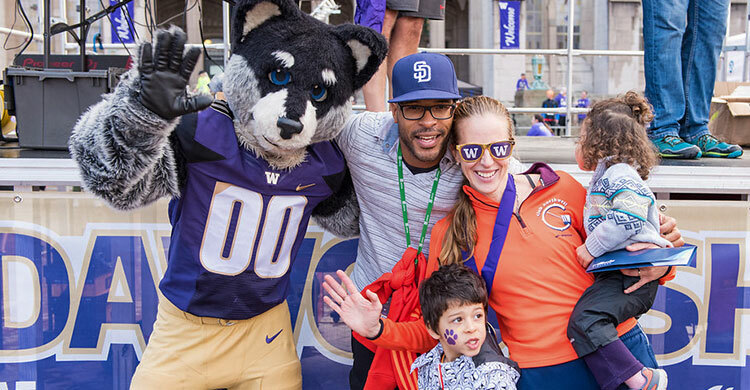 Race-day registration, packet pickup, gear check and the Post-Dash Bash are located on Red Square. 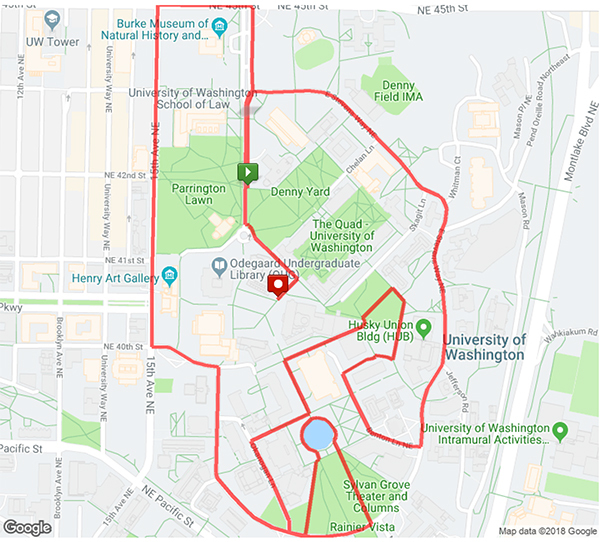 The start line is on Memorial Way near Red Square; both courses then heads north. 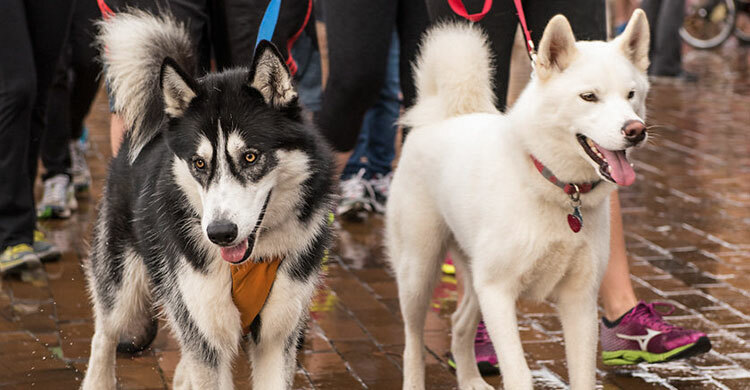 Both races end on Red Square. 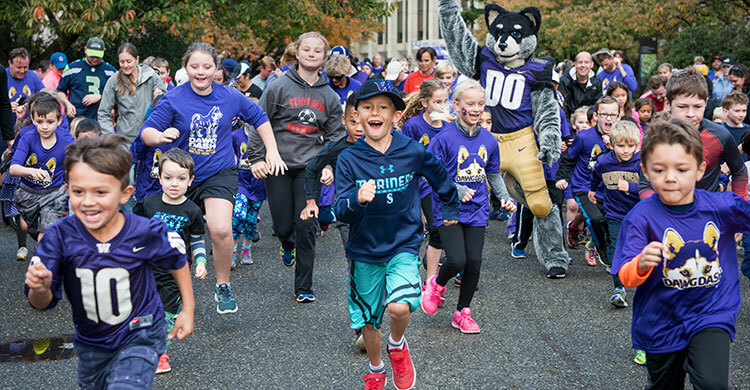 It’s a fun event to bring Husky alumni, family and friends back to campus to celebrate being a UW alum and run through campus! GO DAWGS!